These small little mechanisms actually allow your manual or automatic garage doors to open and close. 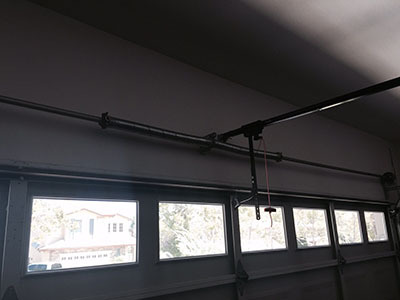 Because they are so important, it is undeniably vital that you find a garage door with the right kind of spring mechanism. We in Garage Door Repair Bonney Lake offer many brands of these mechanisms to suit both your budget and the weight of your garage door. It really isn’t a matter of buying springs on their own as they come standard with any garage door. However, you need to get one of our professionals to decide on which type of mechanism best suits your garage door. There are essentially two main types of spring mechanisms, the torsion spring mechanism and the extension spring mechanism. The difference lies in the way that they actually allow your door to move, whether it be a pulley system or a shaft and cable maneuver. The cost of the torsion and extension spring mechanisms vary depending on the strength and brand. The Clopay torsion spring is one option. It uses unique parts specific to their brand. Our staff will be on hand to answer any questions you have relating to this, or any other, brand. Each product that you purchase from us comes with a built-in installation service. This means that you can just decide on the door that you like and we will take care of the rest for you. Most products that we buy will have to be replaced or repaired eventually. The springs on the garage door that you purchase are definitely no exception to this rule. We’ll fix any product that you’ve purchased, including the extension and torsion spring mechanisms attached to your door. Under no circumstances should you try to replace or repair these springs yourself. For something so small, these springs hold up a tremendous amount of weight and should not even be touched by a non-professional. Our friendly and helpful staff will ensure that you’re completely happy with your purchase and our service by assisting you in any way you may need. Give us a call today to find out more!